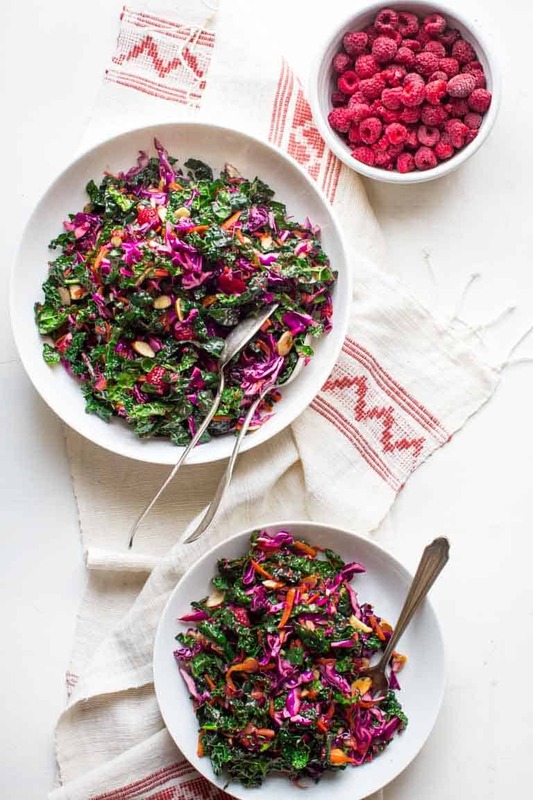 Make a splash on the holiday table this year with this festive Kale Slaw with Raspberries and toasted almonds. It is vegan-friendly, naturally gluten-free and bursting with plant-based nutrients. And it happens to taste phenomenal! DISCLOSURE: This post is sponsored by the National Processed Raspberry Council. I was compensated for my time. All opinions expressed here are my own. A couple weeks ago, I asked my Facebook peeps (hold the phone, if that’s not you- you’re missin’ out *wink! Get over there and like my page) what’s your favorite thing in your kitchen. I got the BEST answers that seriously made my day. I loved the creative answers that included things like “my espresso machine” and “my husband- he does all the dishes” or even a few “me!” responses. How can you not smile at that?! Anyway, I think there was not one person who said their fridge or freezer. But I know my answer would be my fridge. You know how I know so with certainty? Because living on a dead-end dirt road on a hill side in Vermont, means we loose power more than I would like to. And I know when the power goes out- the fresh food in the fridge and all the goodies in the freezer are the number first things on my mind! It’s crazy to think that before the “icebox” was invented, folks got along without reliable refrigeration. I’m not sure I could make it. Seriously, with the advent of freezers and refrigeration our entire food culture has changed. We are so fortunate to be able to eat nutritious whole foods picked at their peak even in wintertime thanks to our freezers. 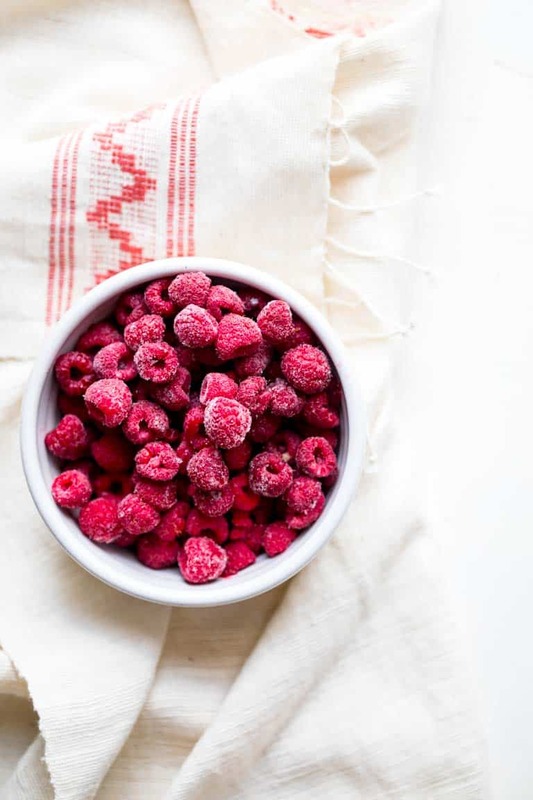 So when I was asked to partner with Real Red Raspberries for a healthy holiday recipe featuring frozen red raspberries, I leapt at the chance! What could be better than delicate jewel-like berries on the holiday table? If you have a sec, please pop over and watch the video at the bottom of this post. It’s a little bit about how red raspberries are frozen. It gives me goose bumps and makes me proud to support the farmers that bring us such a wonderful product and to be partnering with Real Red Raspberries. As I was saying, festive holiday recipe, right! 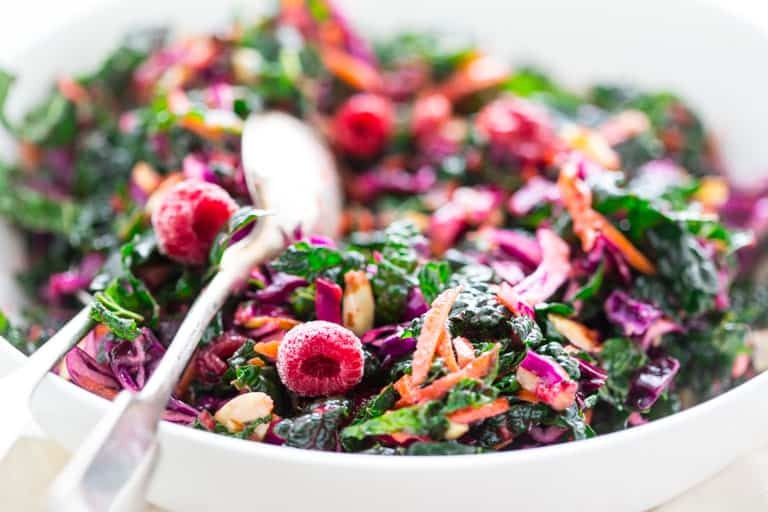 I came up with this Festive Kale Slaw with Raspberries and toasted almonds and I am so thrilled with the results. It is a little sweet, a little tart, crunchy and refreshing- and unexpected! I love the way the raspberries, honey and vinegar play off each other in a sweet and sour way to totally give a counter balance to the holiday table. 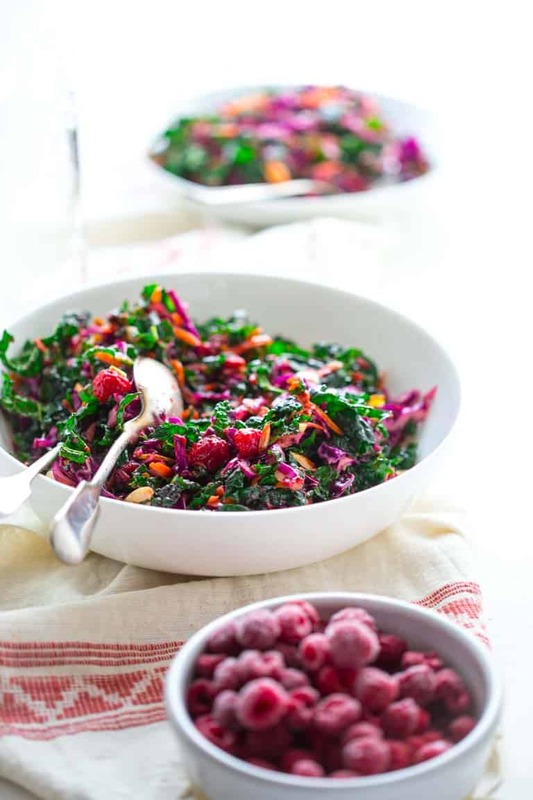 The key to this kale slaw is the super easy raspberry dressing which starts with thawed frozen raspberries- just mash them in the salad bowl. Then whisk in a tiny bit of garlic, Dijon, vinegar, honey (or maple syrup for a vegan version) salt and oil. That’s all. Then in comes the kale, carrots and cabbage. Toss and then finally top with more thawed raspberries and toasted almonds. If you want to make it ahead, you can make the dressing separately a couple days ahead and keep it in a jar in the fridge (yup…the best thing in my kitchen 😉 .) This slaw holds up quite well after it’s tossed, so it is a nice choice for a more casual buffet style gathering as well. 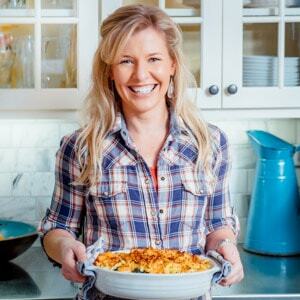 Don’t miss my 1-minute video for this recipe! See how easy it is to make?! 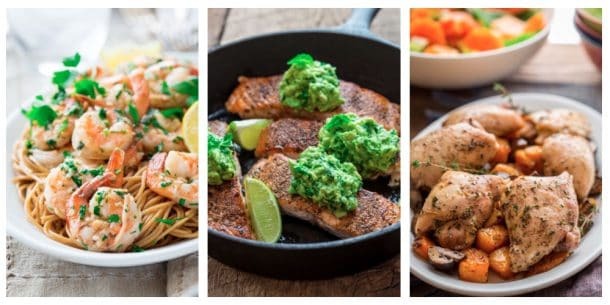 What is your favorite thing in your kitchen? Could you go without your fridge/freezer? More reading about the passionate farmers who grows our red raspberries. To get the recipe, please head over to RedRazz. My favorite thing in my kitchen is set of Wusthof knives. I’ve had them for 20 years and use them every day! Oh good one! I don’t think anyone said that yet, and I may have to agree that I couldn’t get along without mine either! I definitely couldn’t be without my fridge or freezer. I can’t get over how delicious this looks, so healthy and colourful! Thanks Bintu! Have a great day. This salad sounds so good, and it’s beautiful! It’s nice to eat something bright and colorful this time of year that’s not Christmas cookies. 😉 And my favorite thing in my kitchen right now is my immersion blender. Love that thing! Thanks so much Tracy. I love my immersion blender too. I use it for dressings and soup. 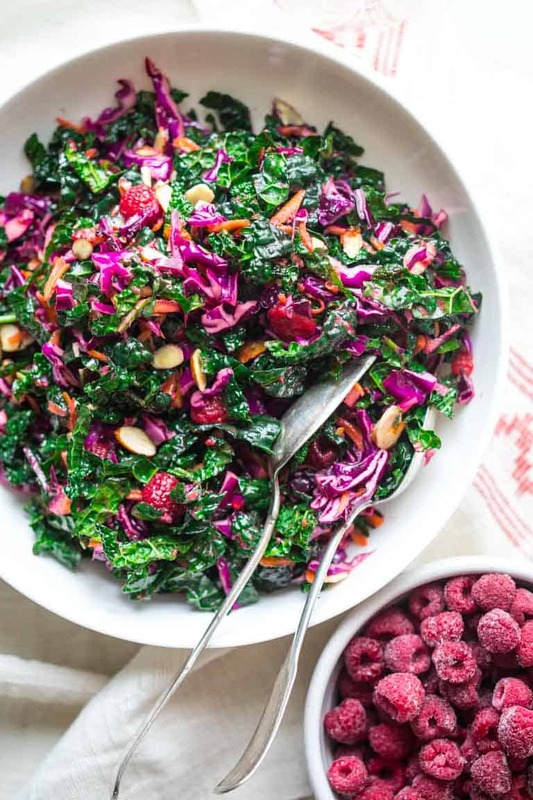 I love raspberries and kale but I’ve never thought of putting them together. I have to try this recipe. Thanks for sharing it. Thank you Silvia. It is unexpected. Hope you love it. Thank you Julia. So glad that you think this salad looks good. I still haven’t gotten an instant pot. But I did use one this past year on a photo shoot, and it was remarkable. Maybe Santa will bring me one. ha ha. What are the measurements for the ingredients? I didn’t see it anywhere. 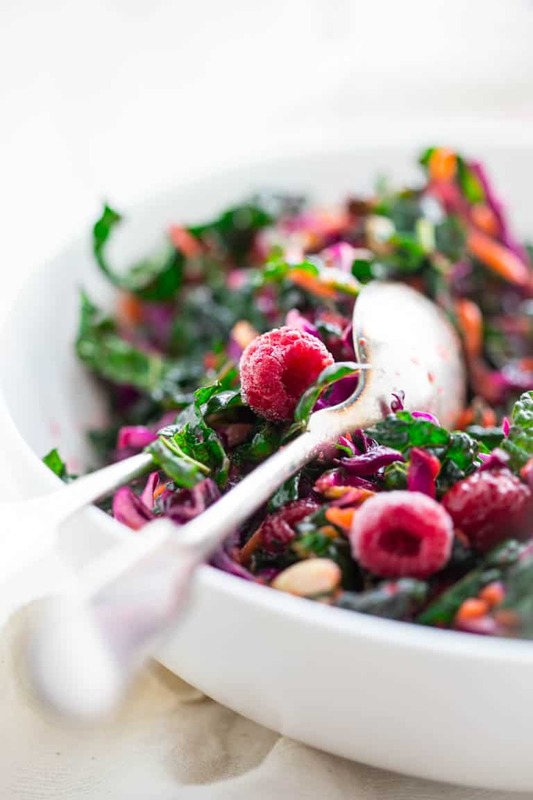 The full recipe can be seen on my client’s website here http://www.redrazz.org/recipe/festive-kale-slaw-raspberries/ Enjoy!